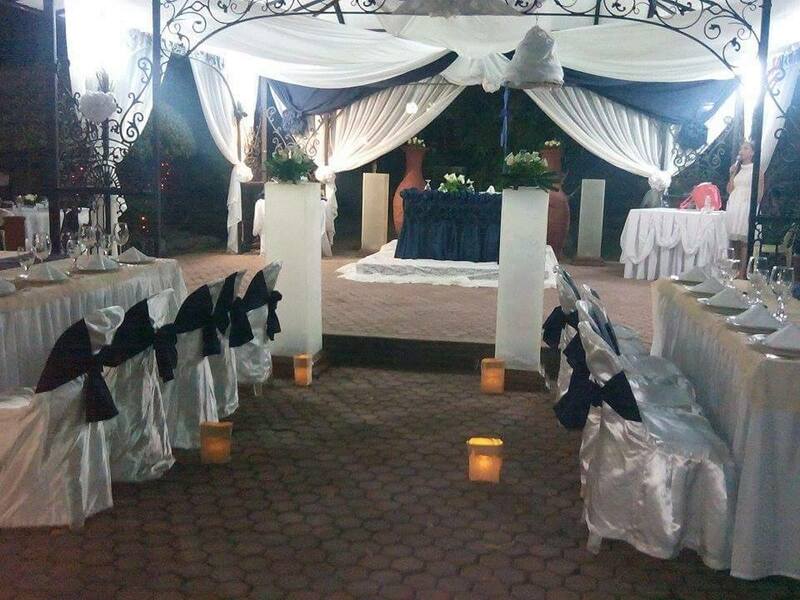 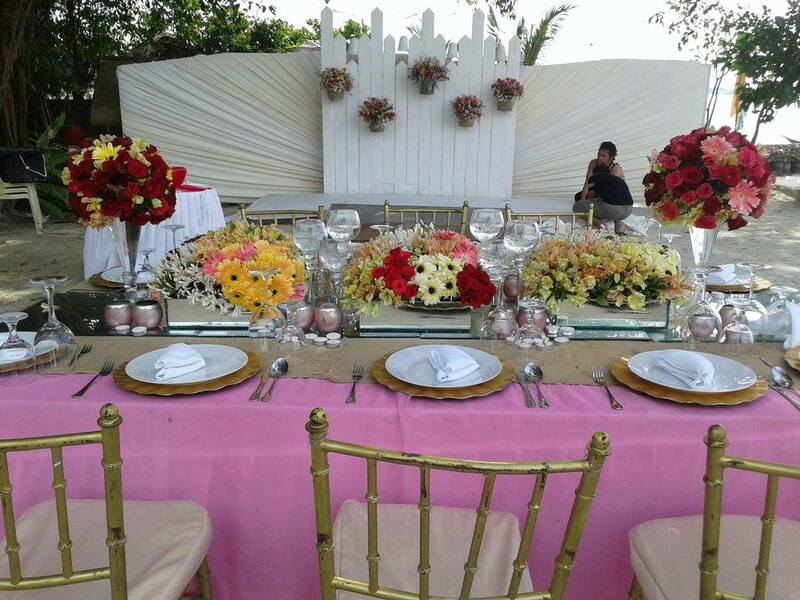 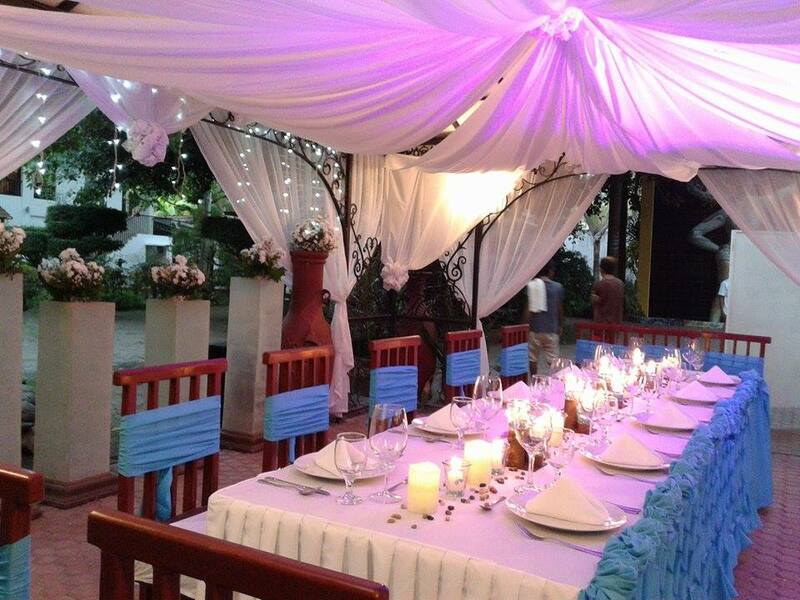 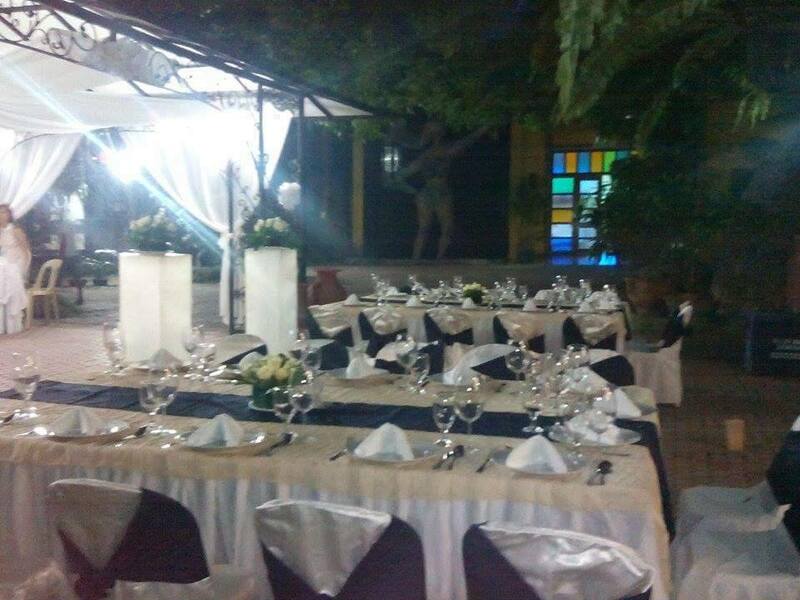 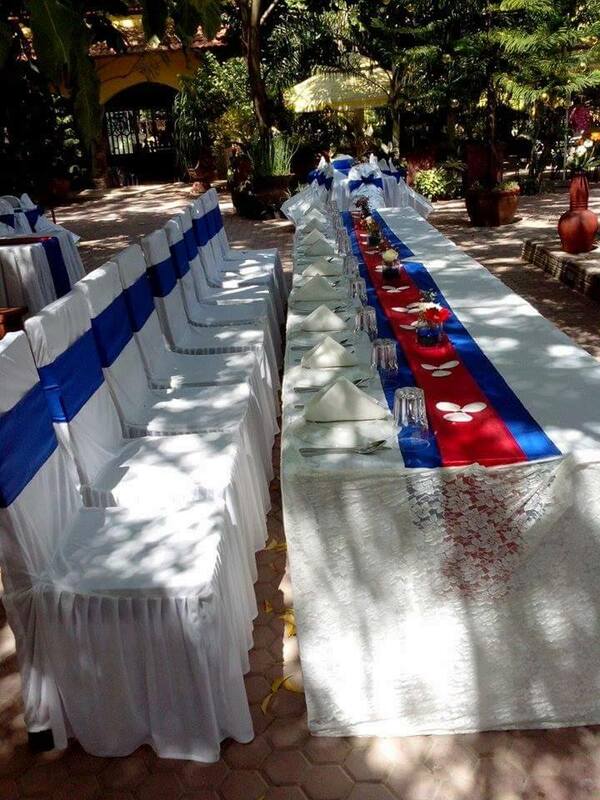 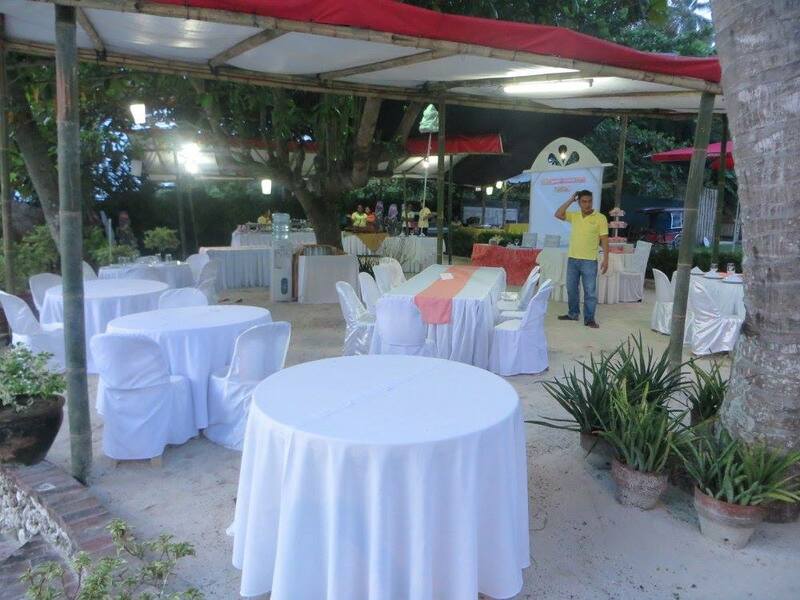 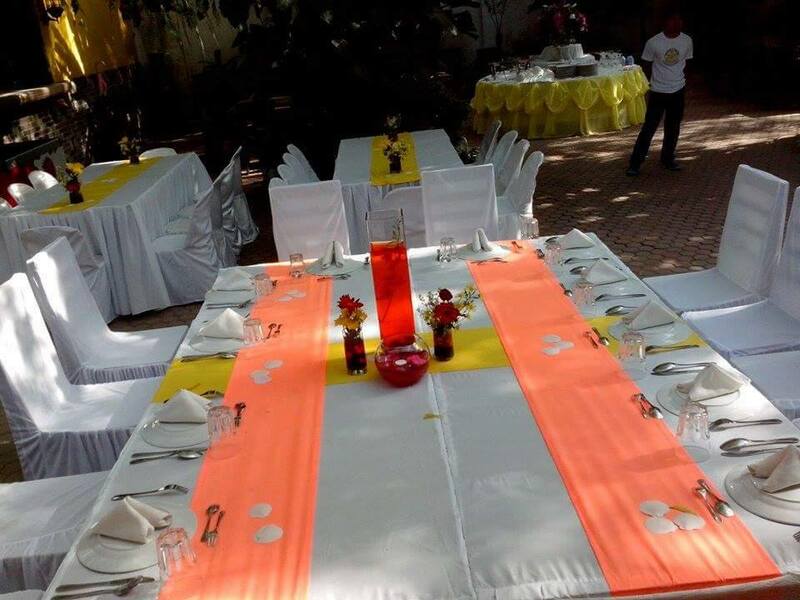 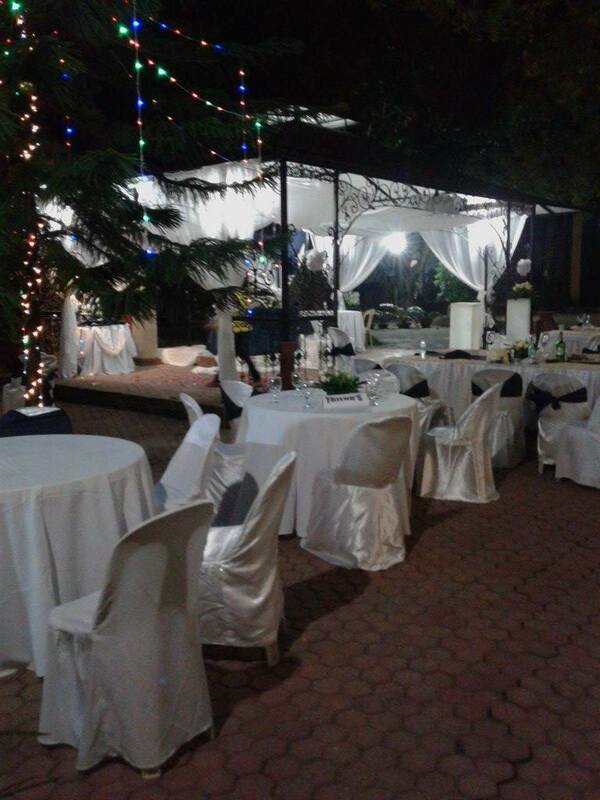 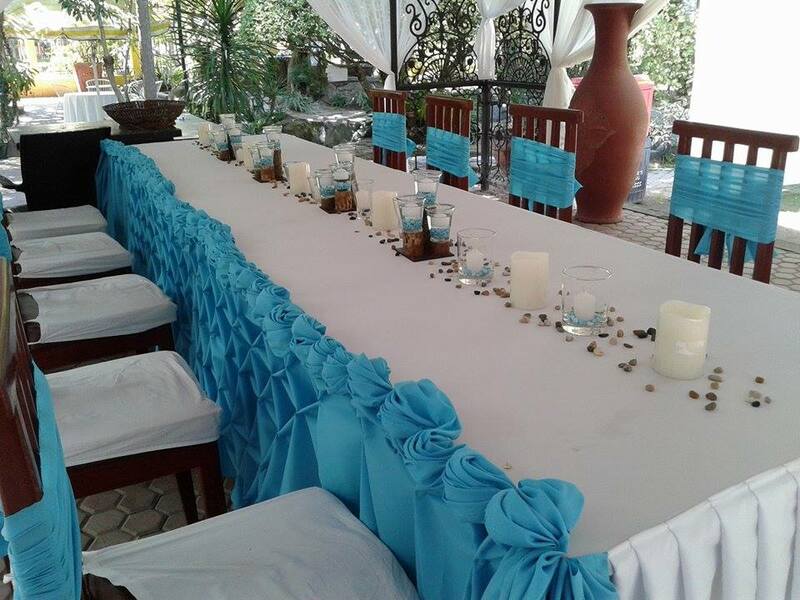 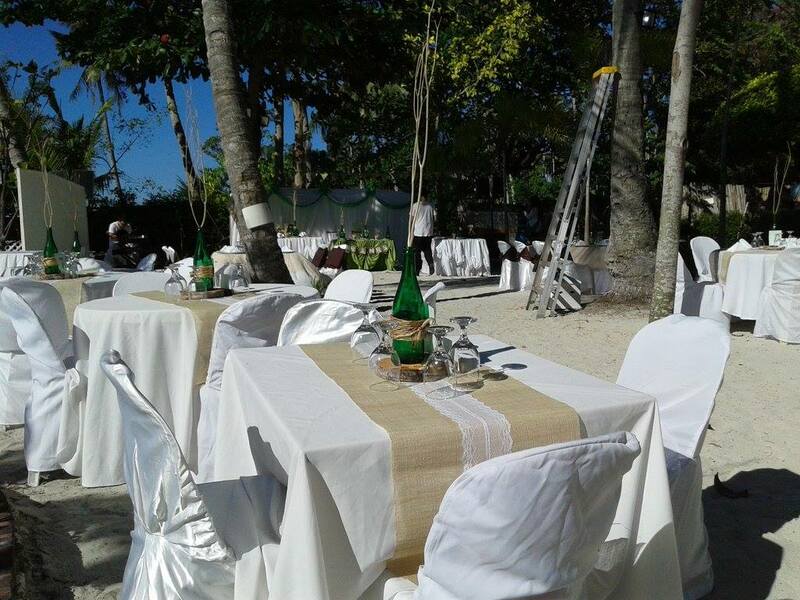 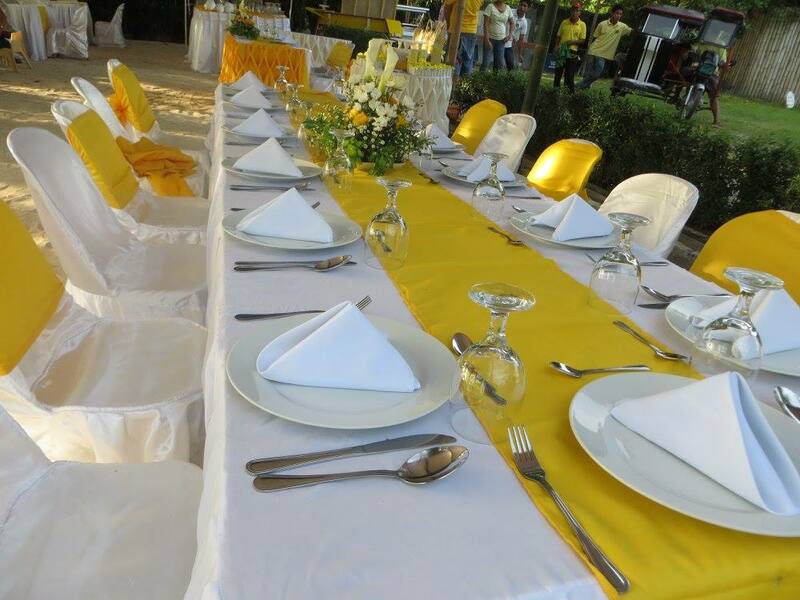 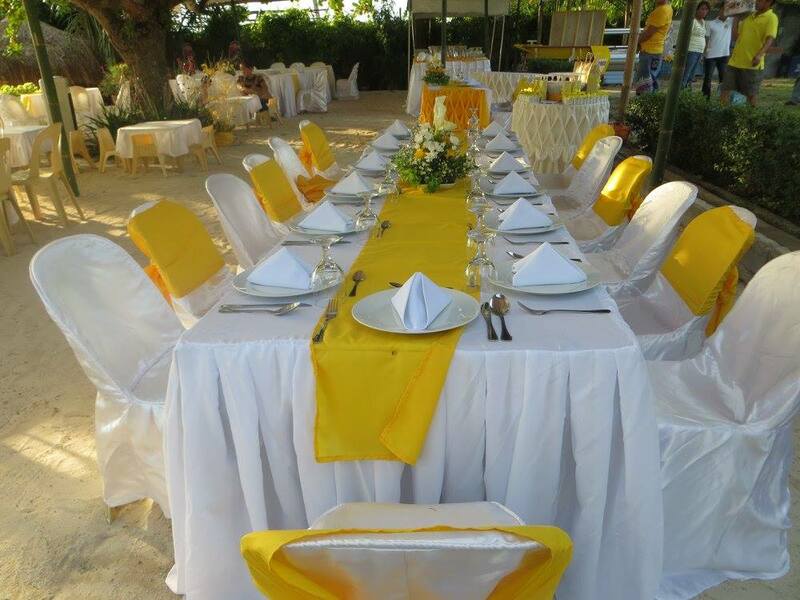 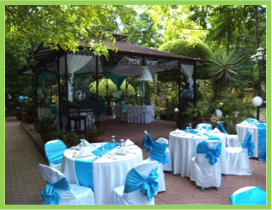 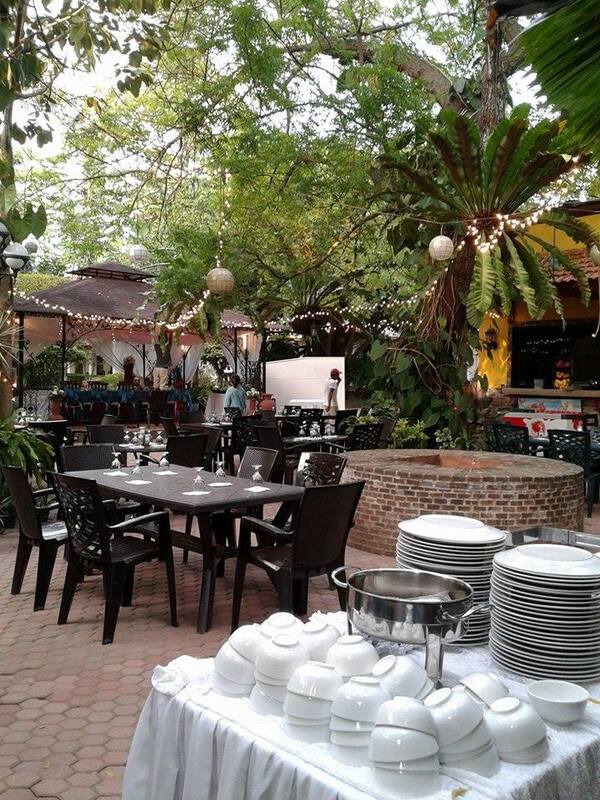 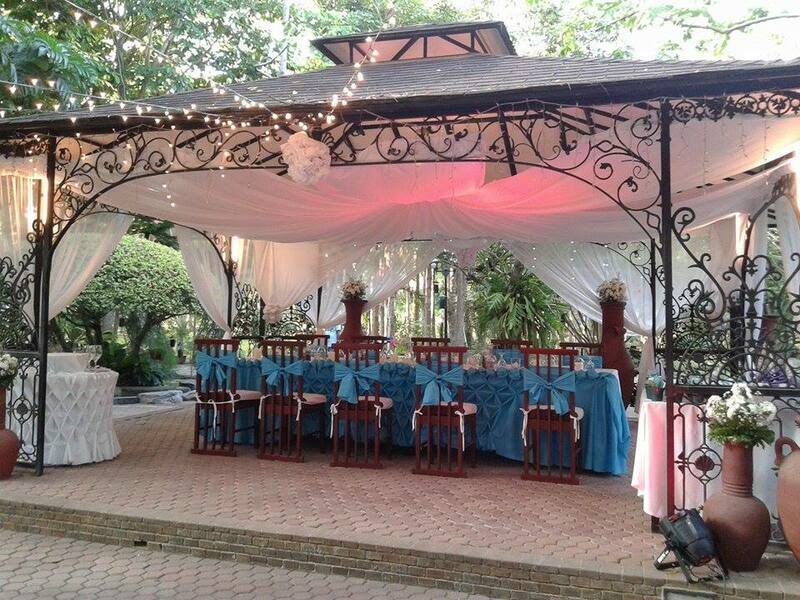 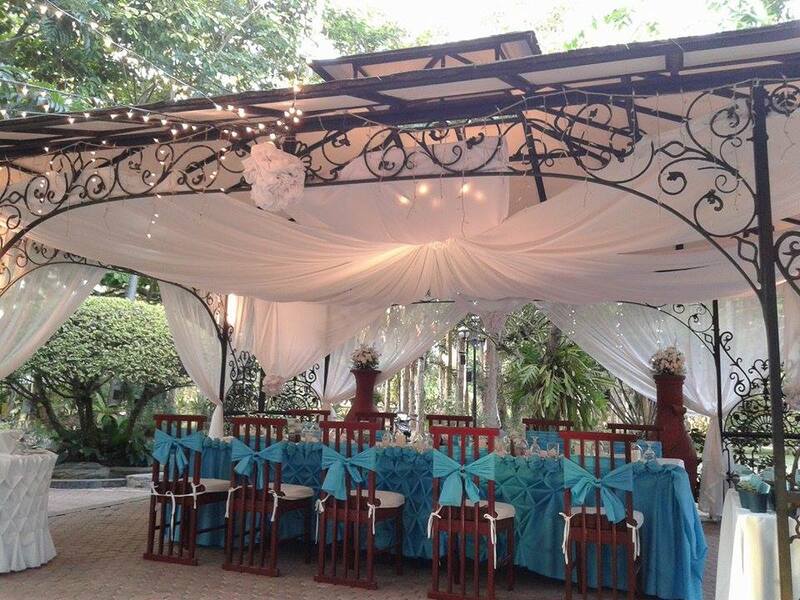 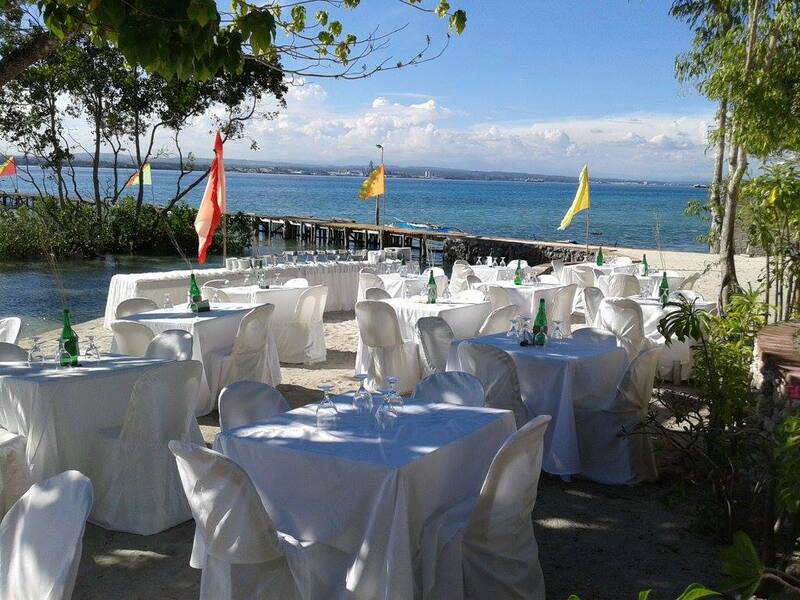 Precious Garden offers two environments, side-by-side, to guarantee the perfect location for your special occasion, be it a wedding reception, birthday party or a reunion. 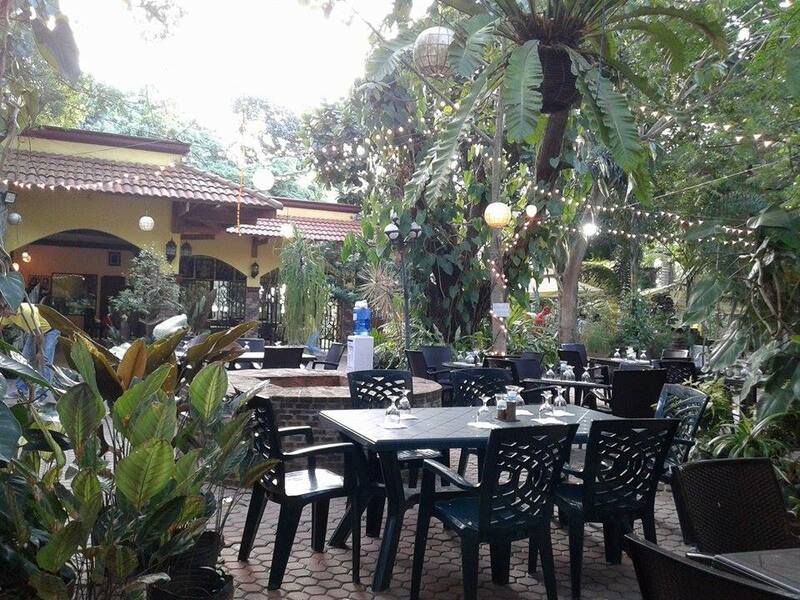 Our tropical garden is locally reknown; many visitors drop by just to have their photographs taken with the plants, fish and ornaments. 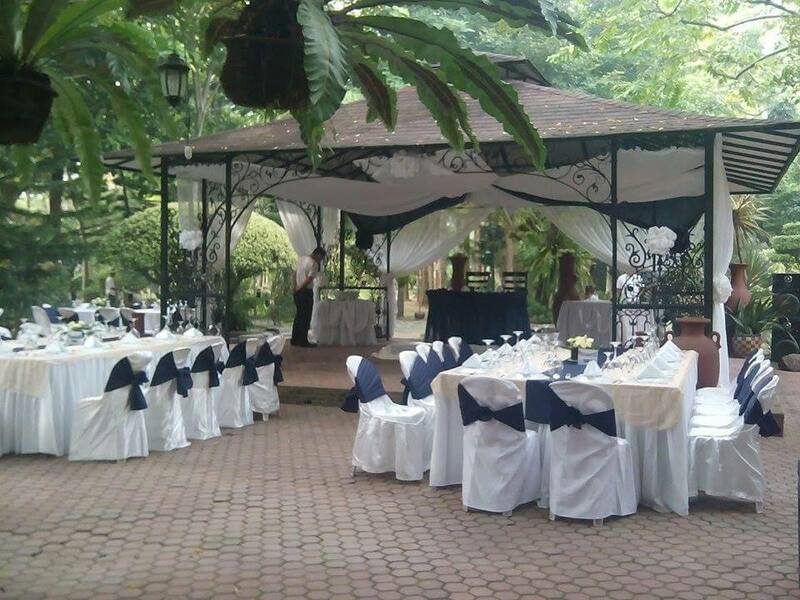 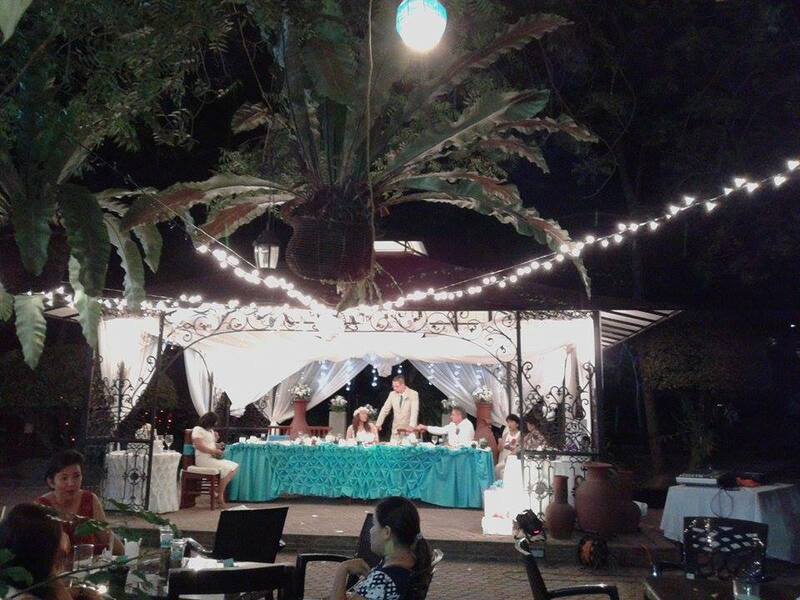 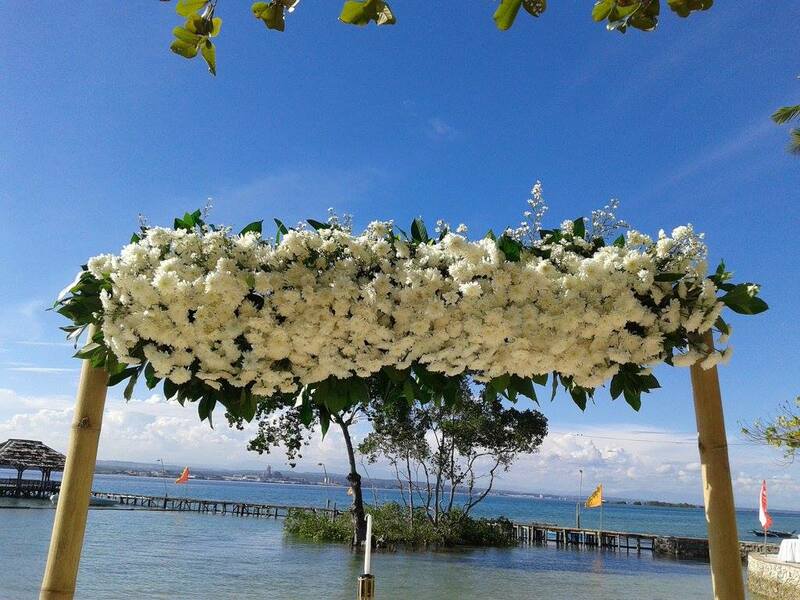 We pride ourselves on providing stunning decoration of the garden pavilion to give your wedding ceremony or reception the memorable backdrop it deserves. 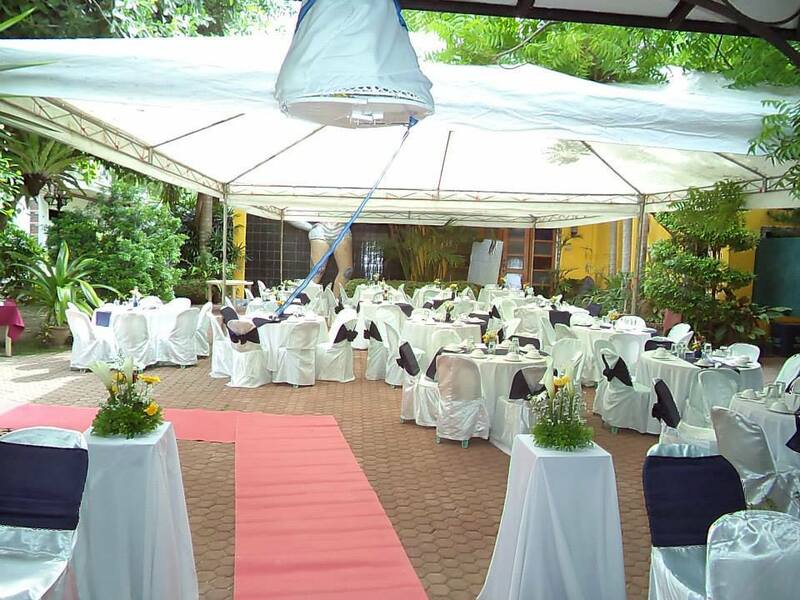 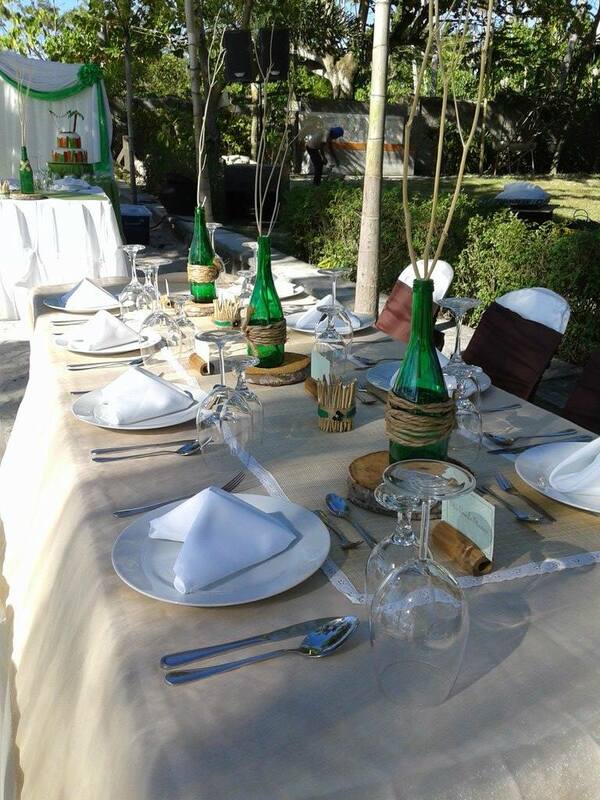 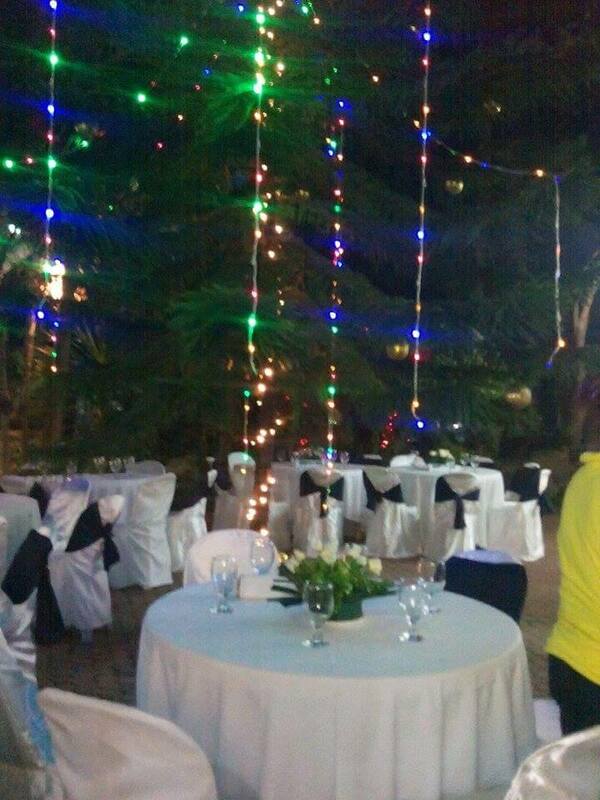 The garden caters for up to 250 guests in comfort. 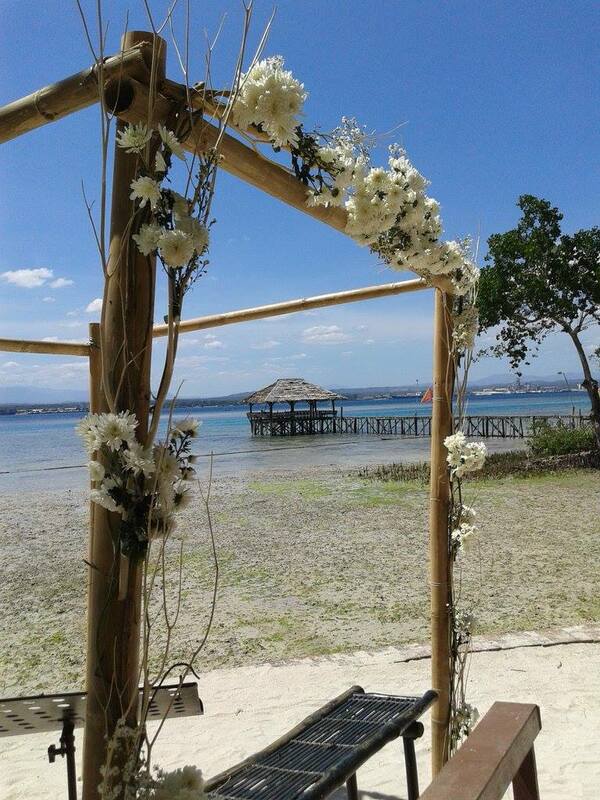 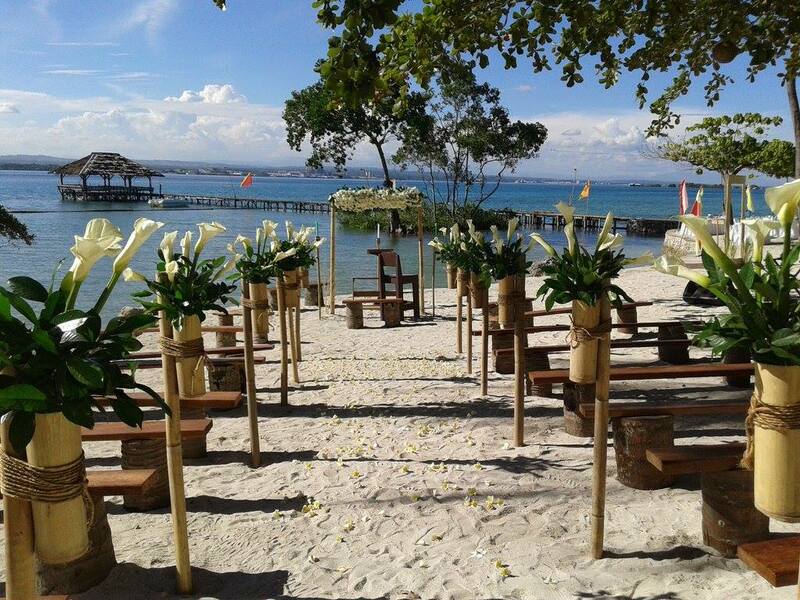 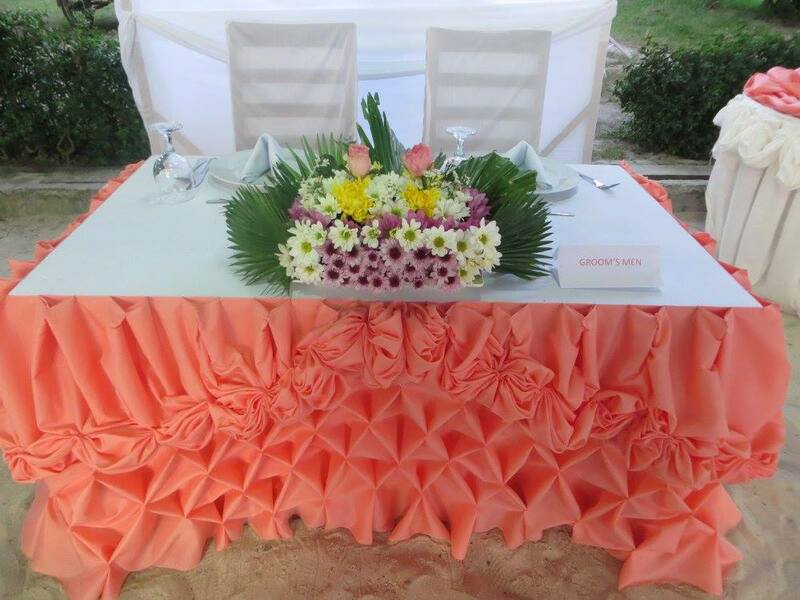 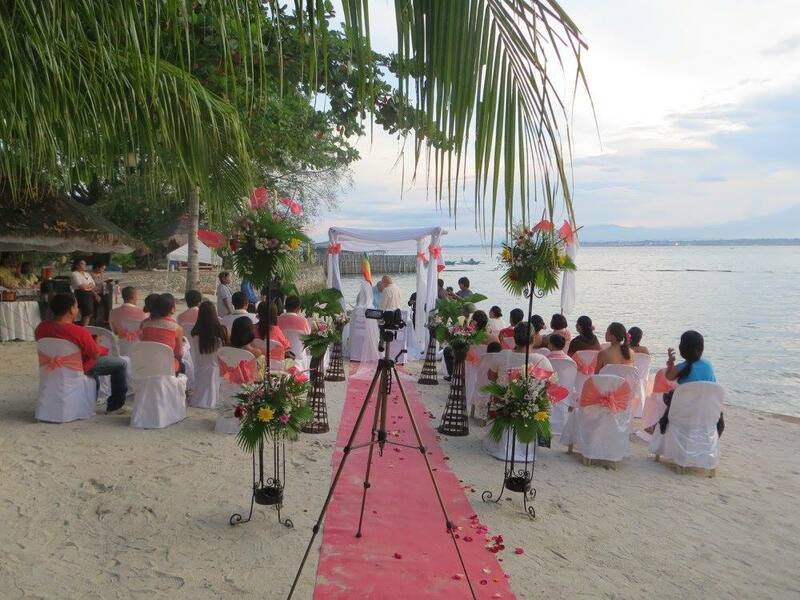 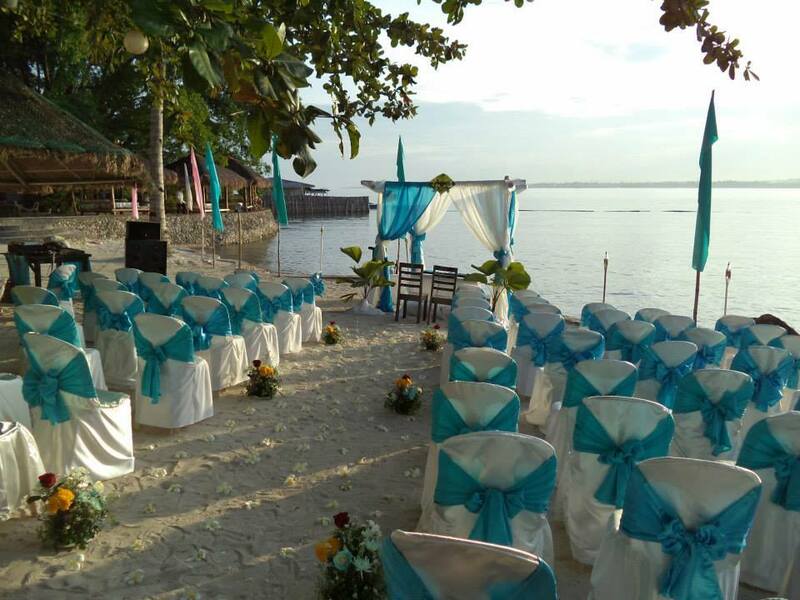 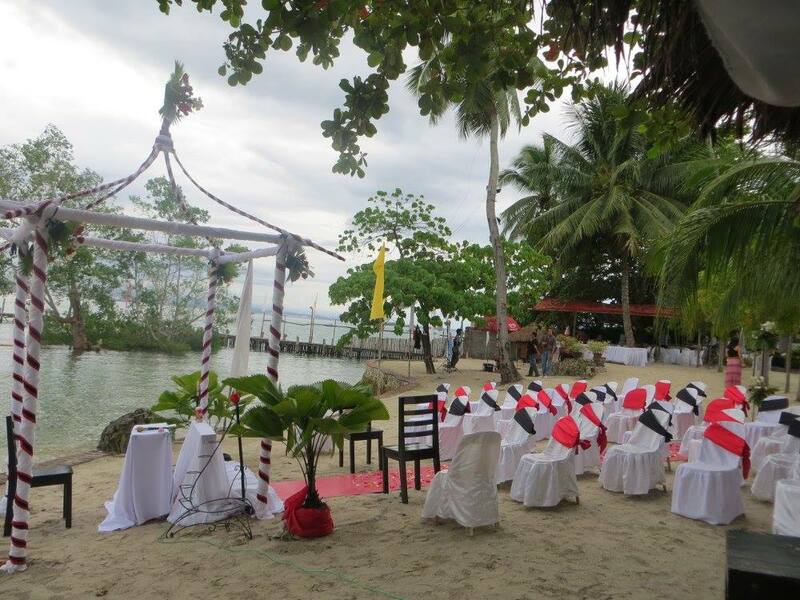 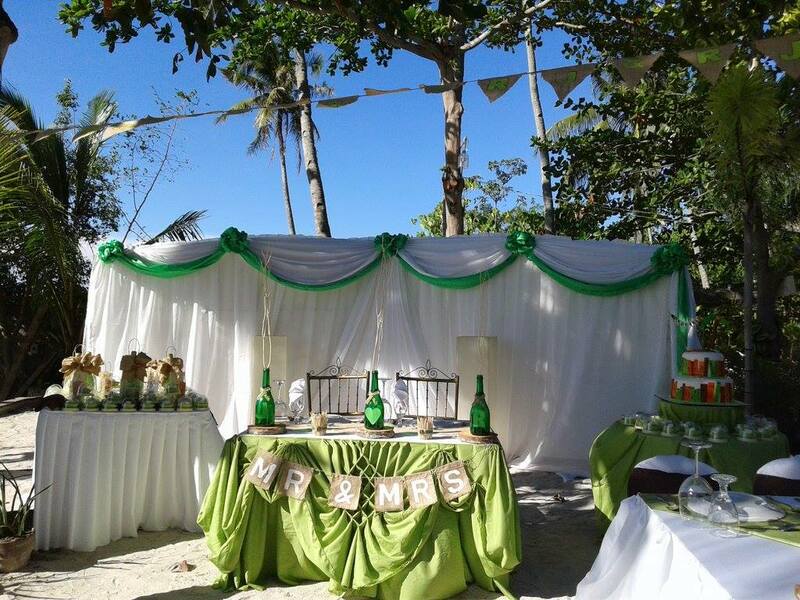 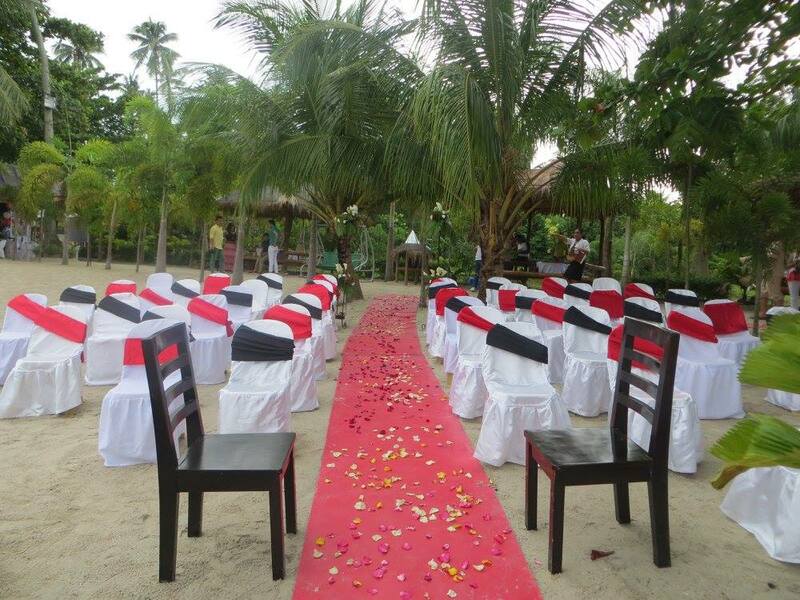 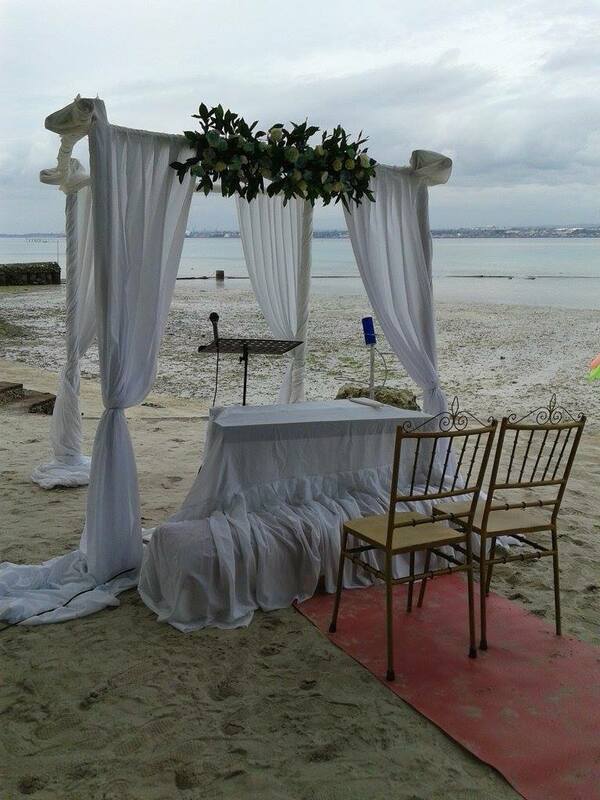 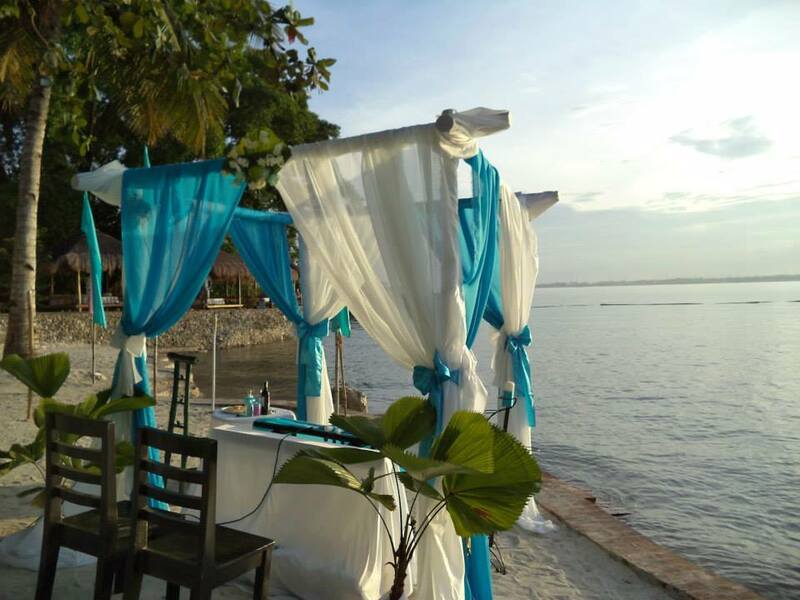 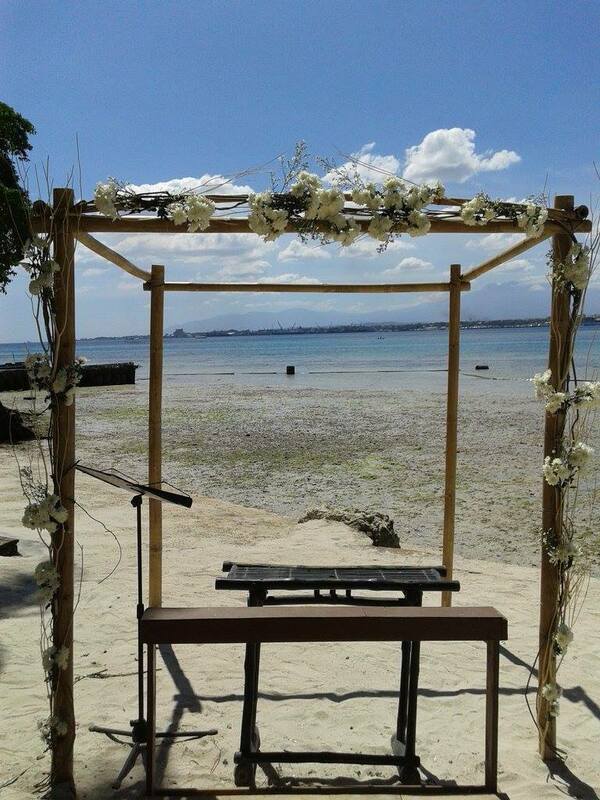 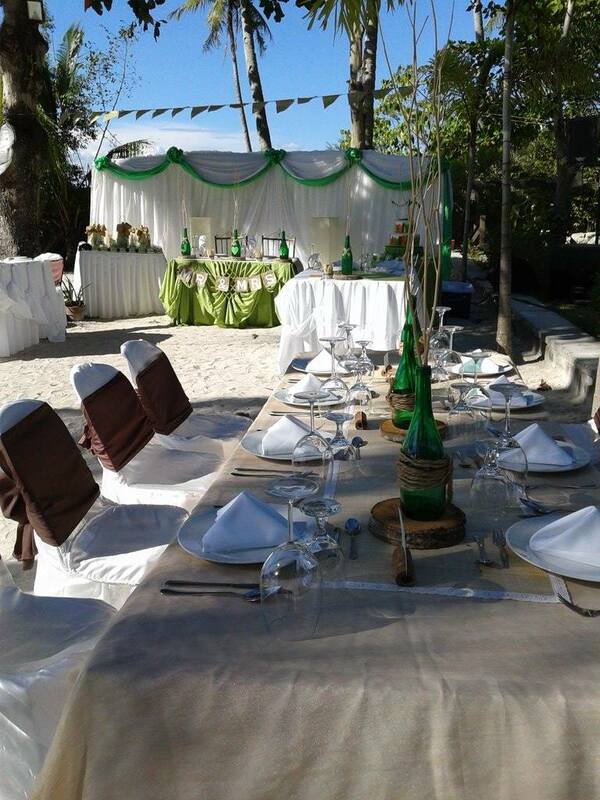 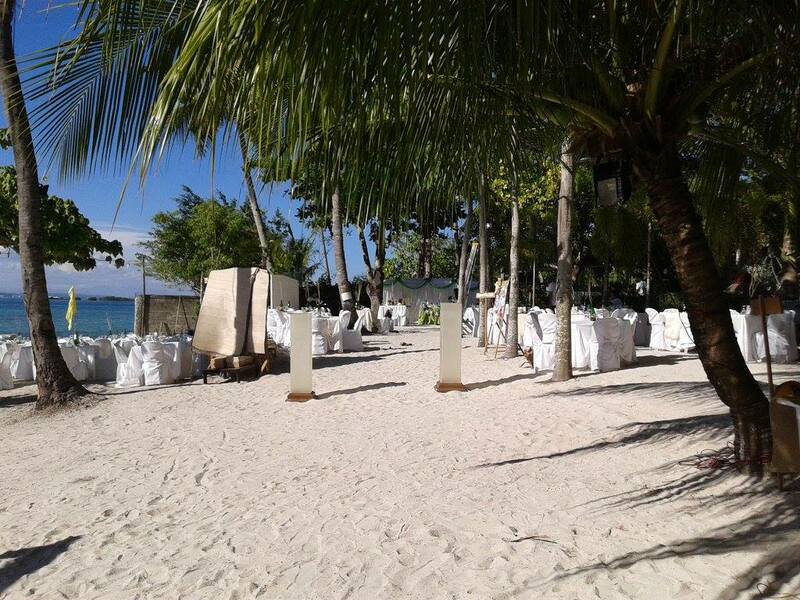 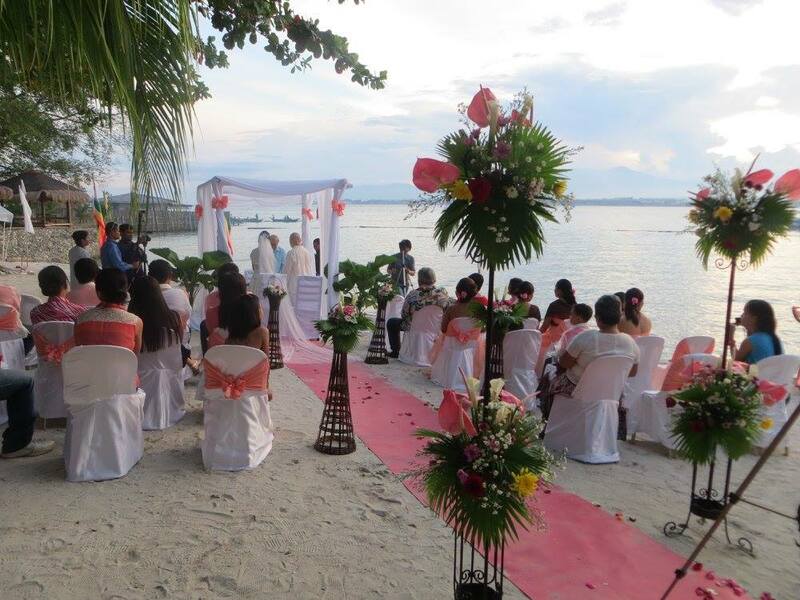 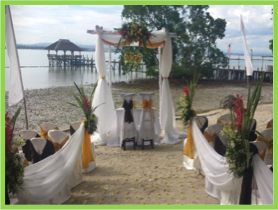 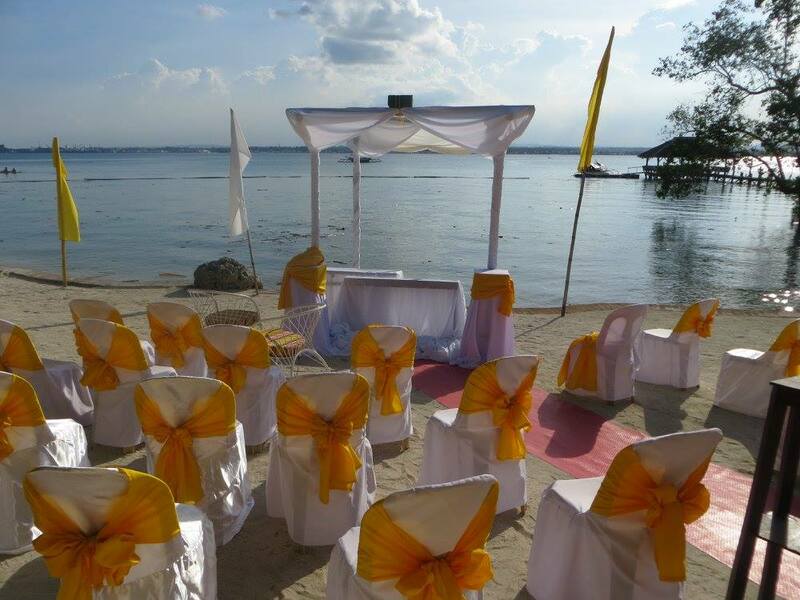 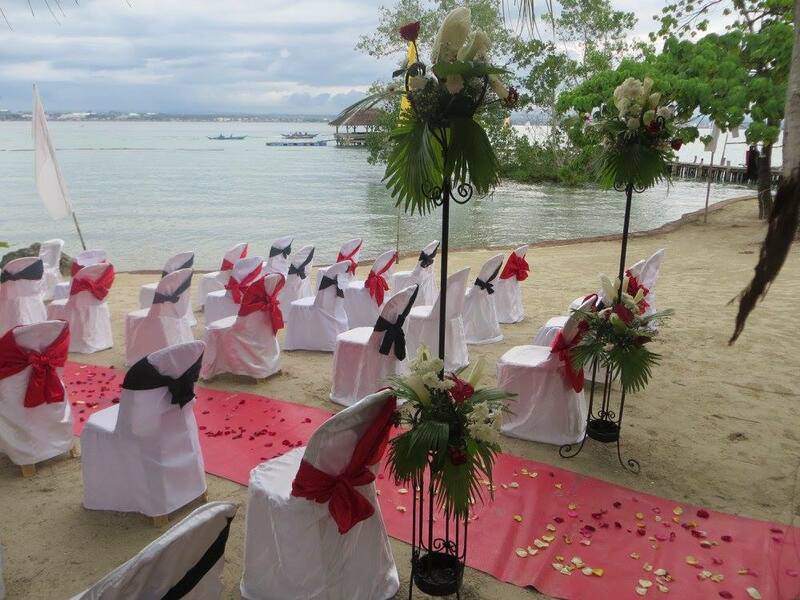 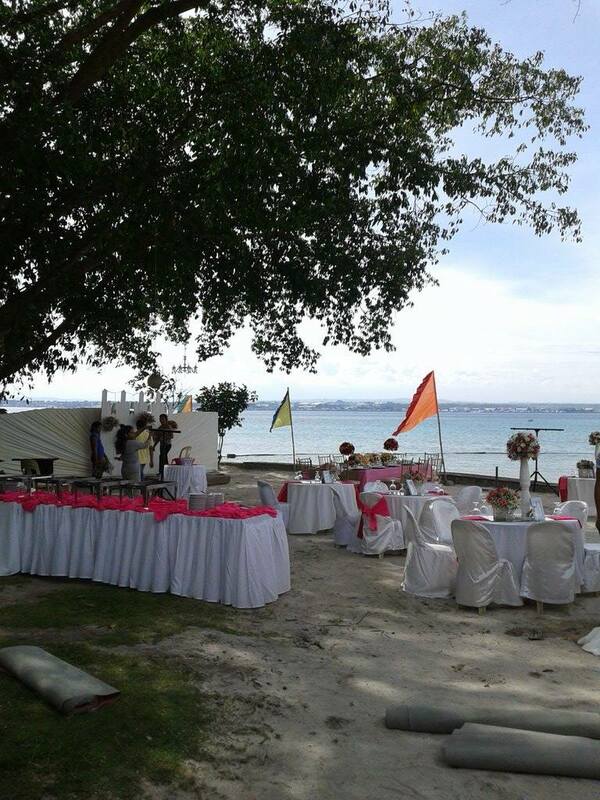 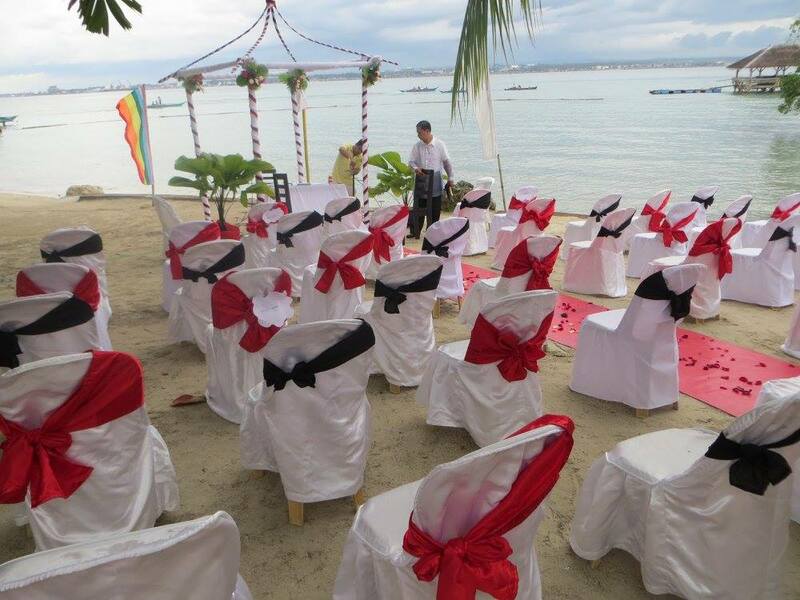 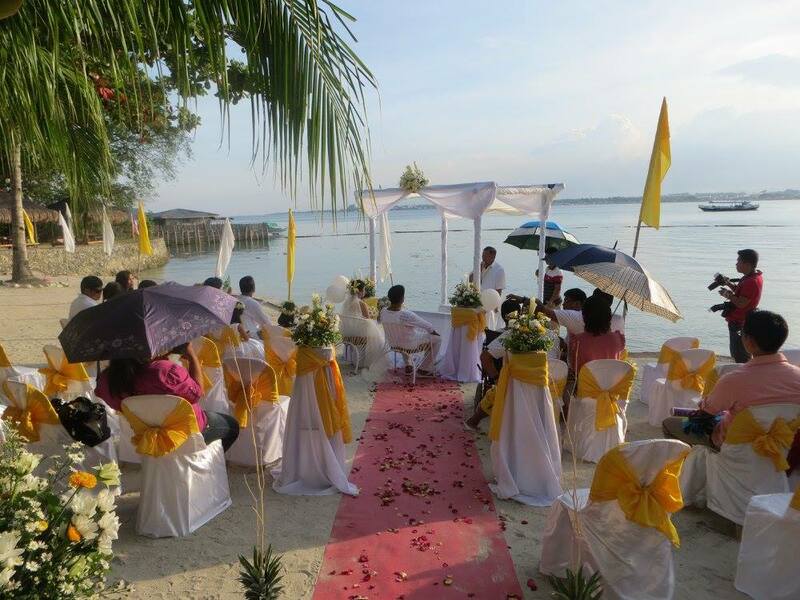 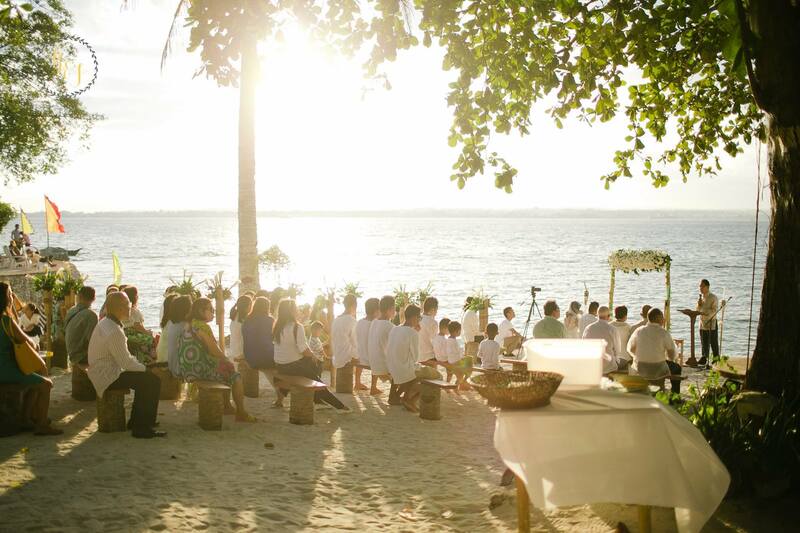 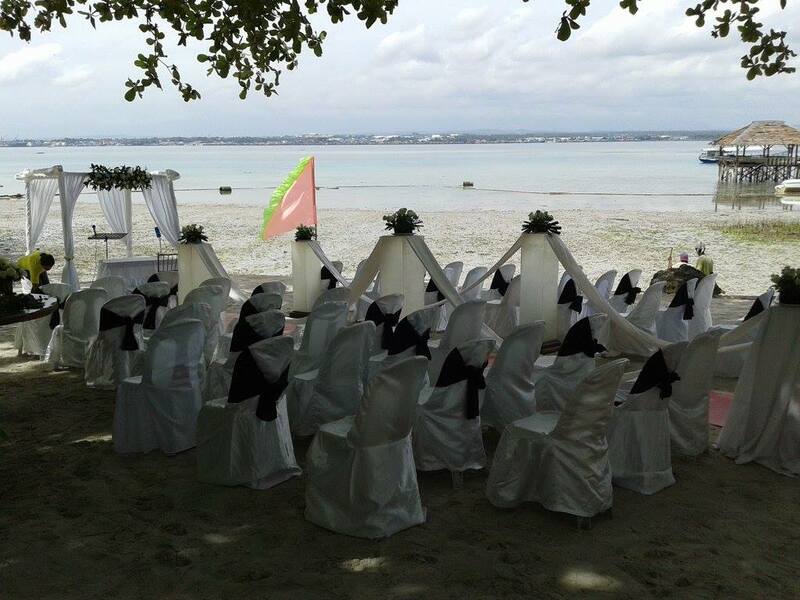 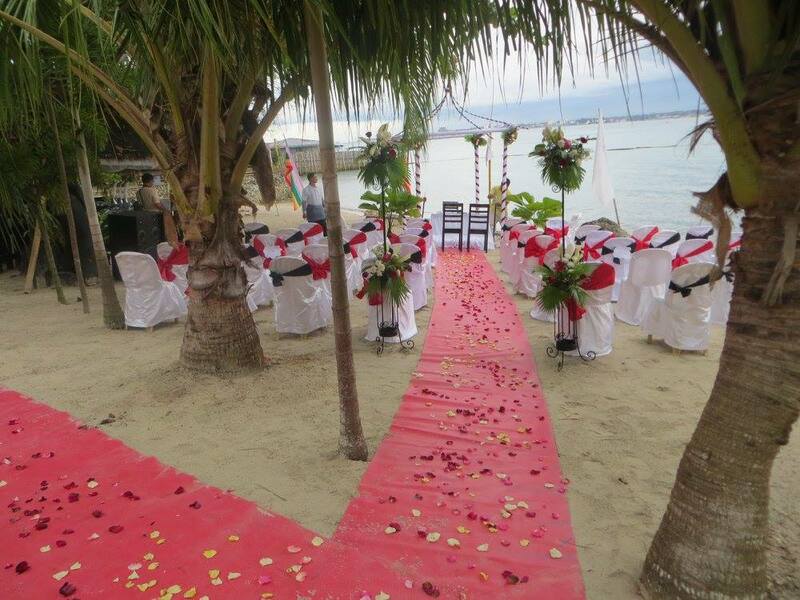 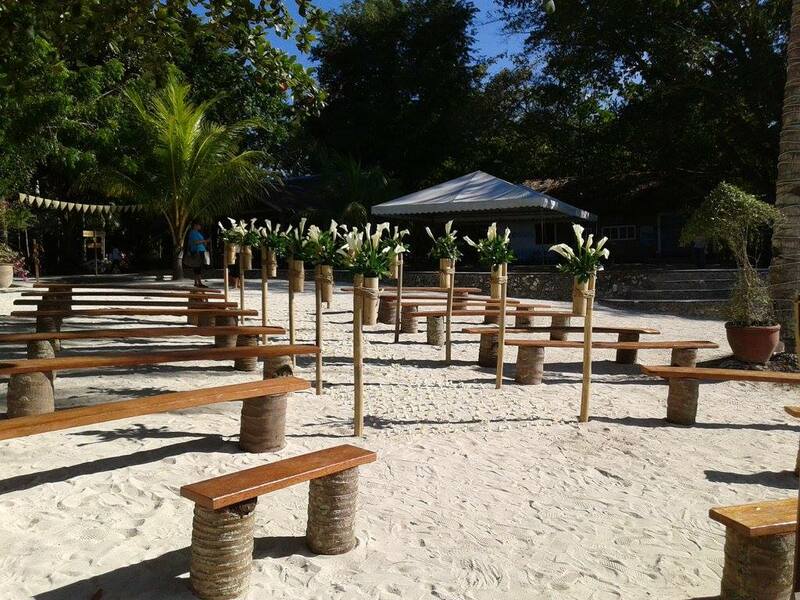 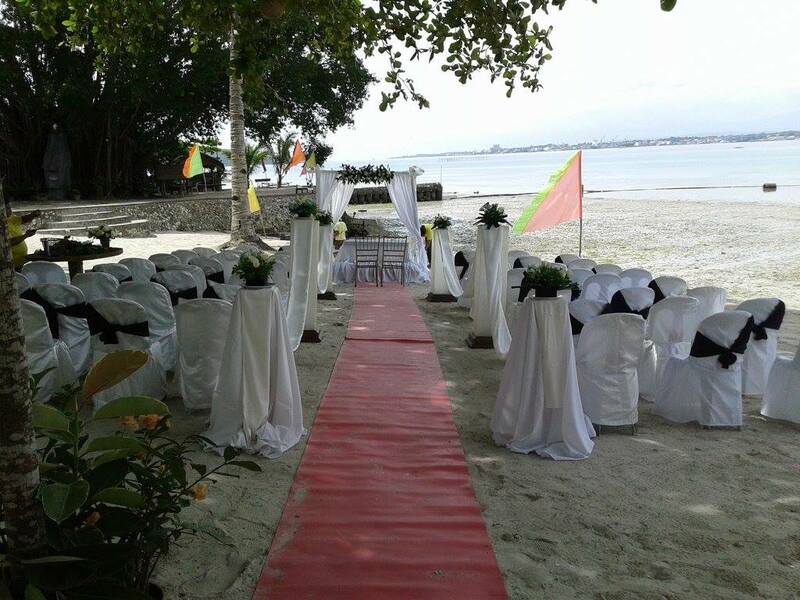 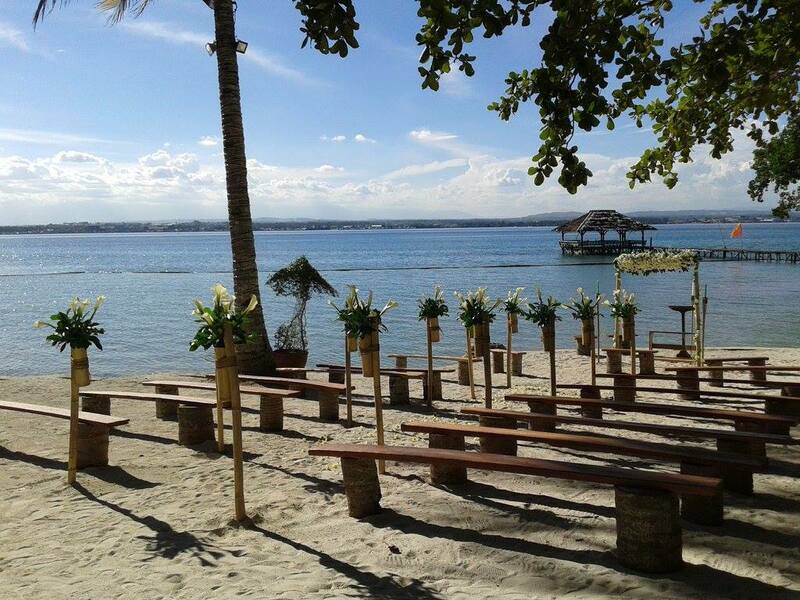 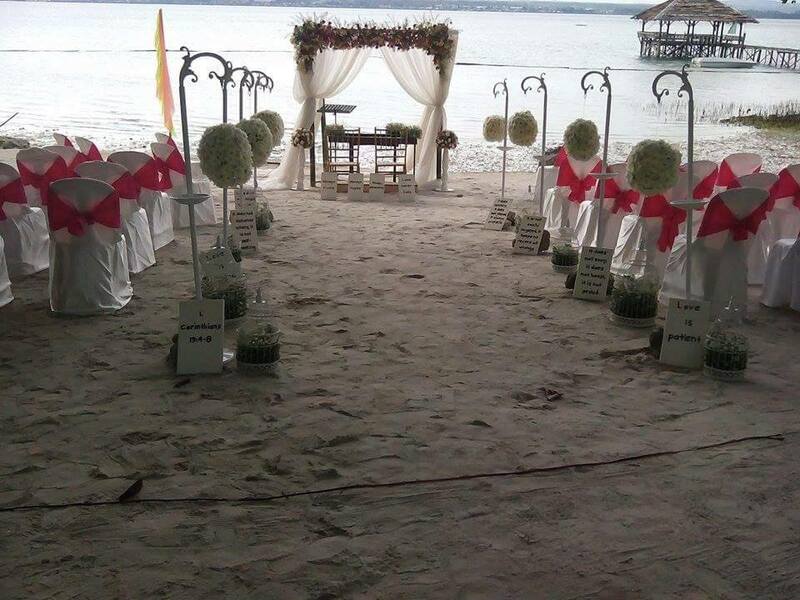 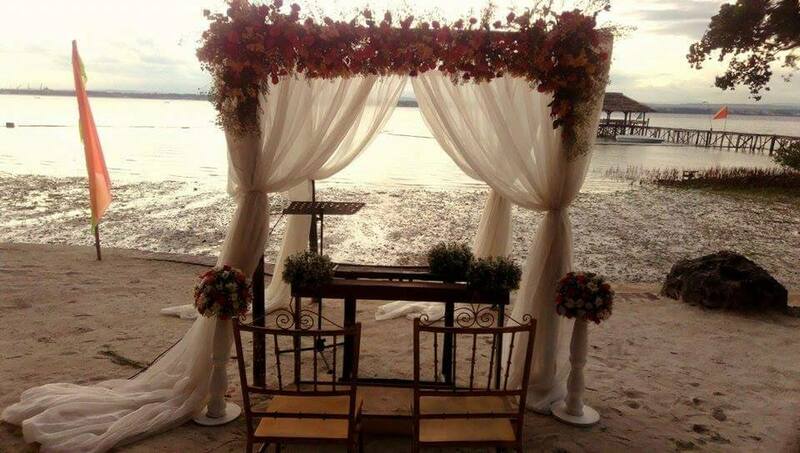 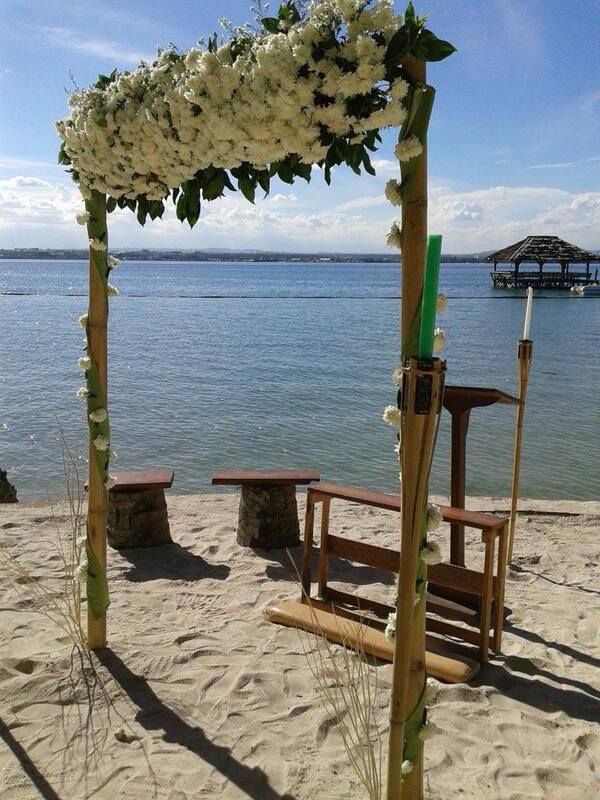 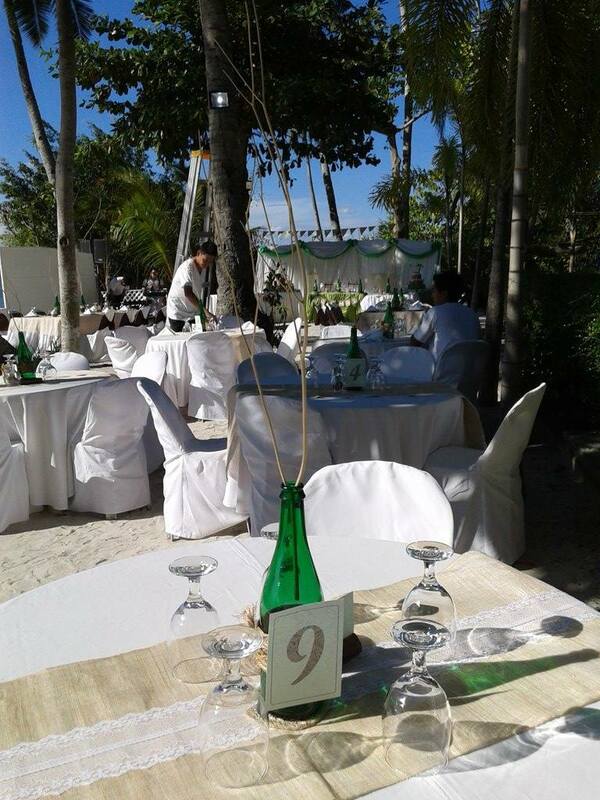 Alternatively, you could hold your celebrations on our white sand beach. 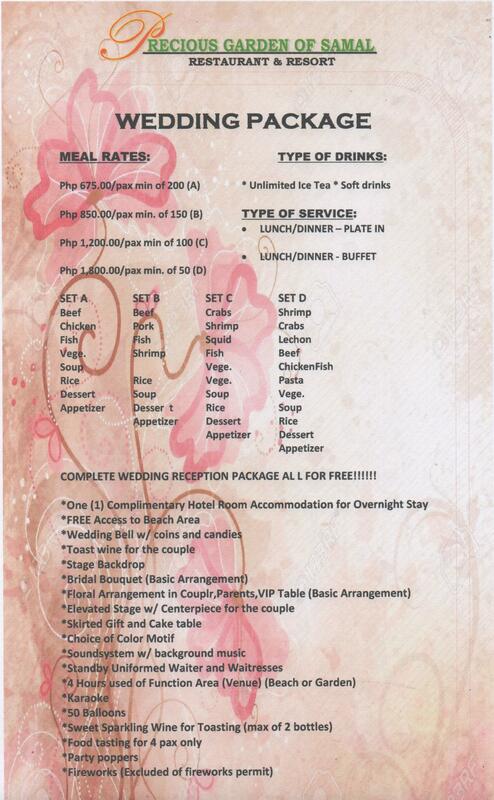 Call to discuss your special menu requirements. 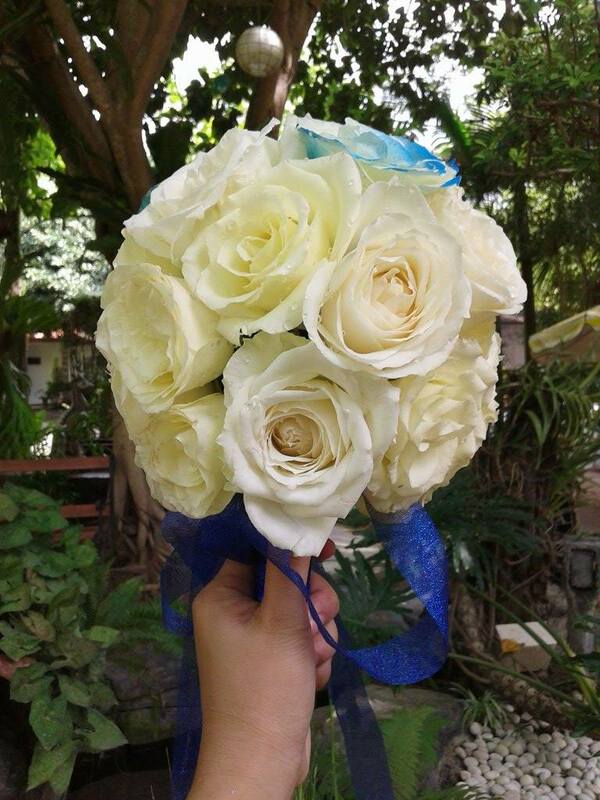 Prices start at P250/head. 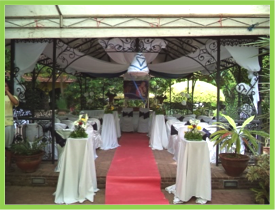 The bride and groom can slip away from the reception to start their honeymoon in the Garden Hotel suites. 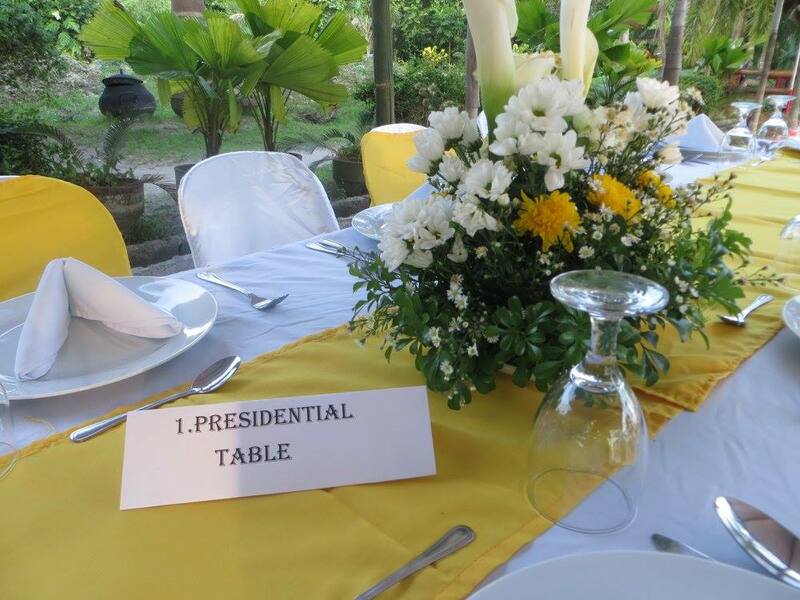 Returning for anniversaries is an easy option. 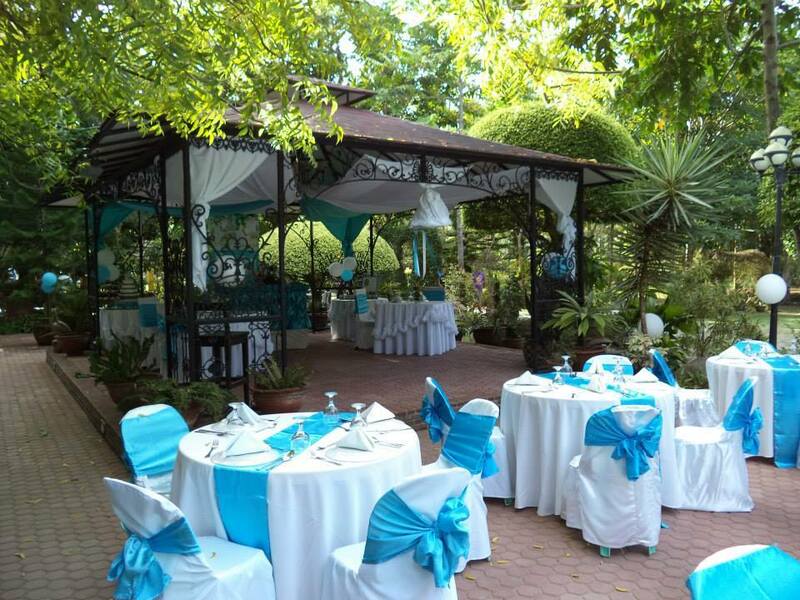 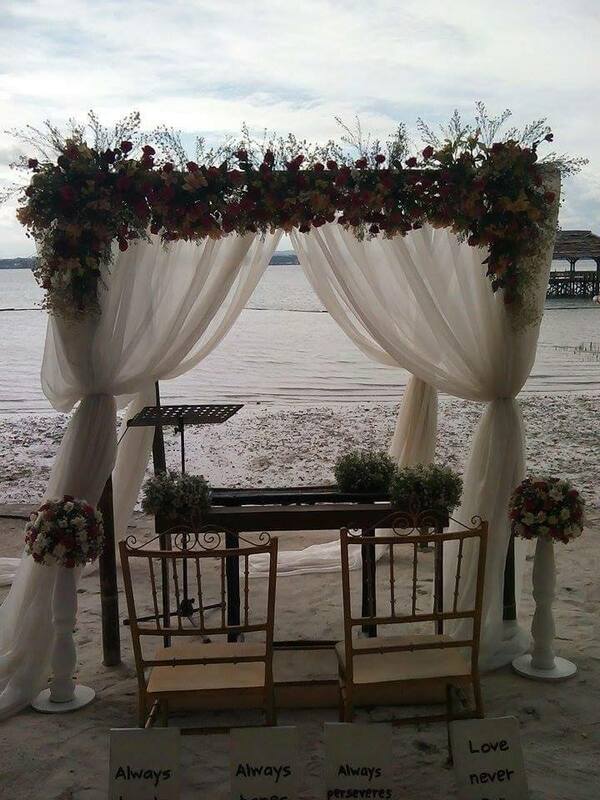 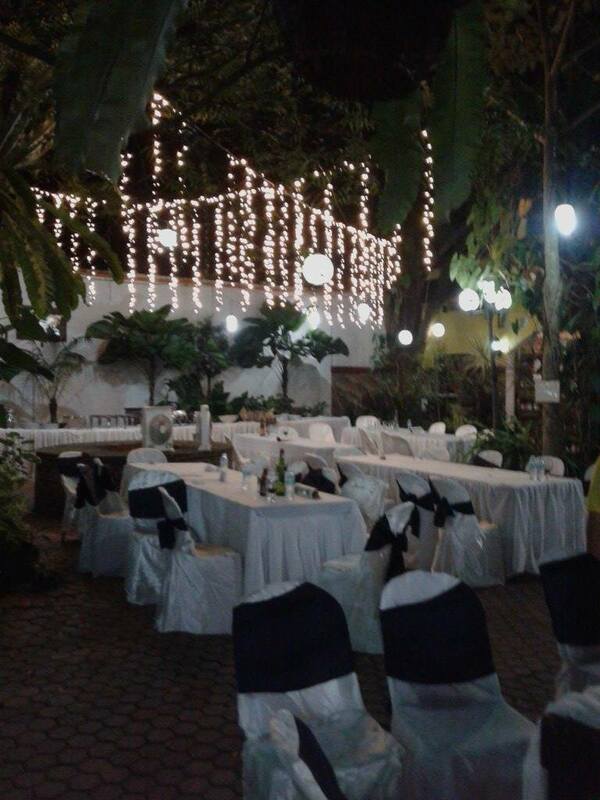 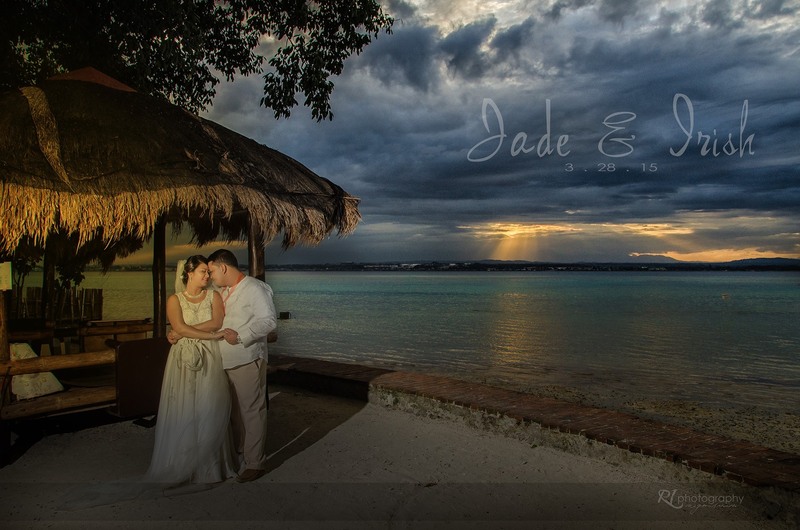 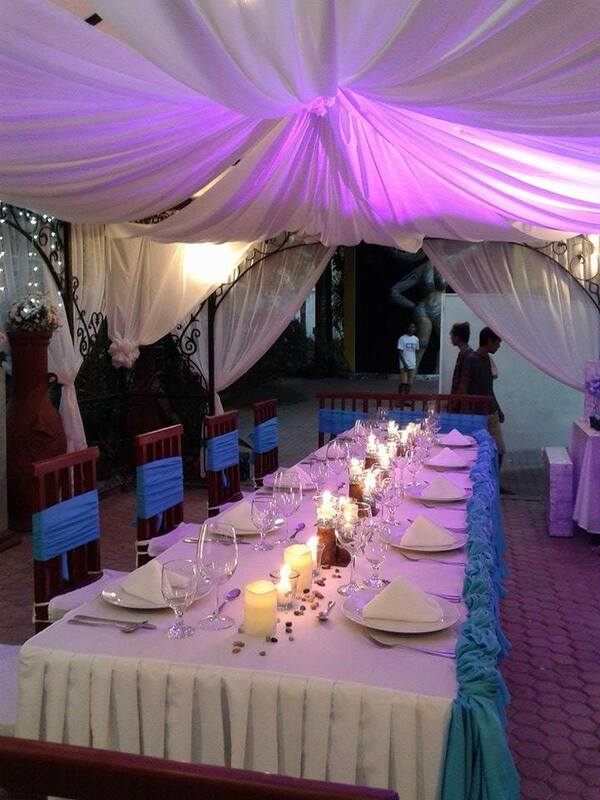 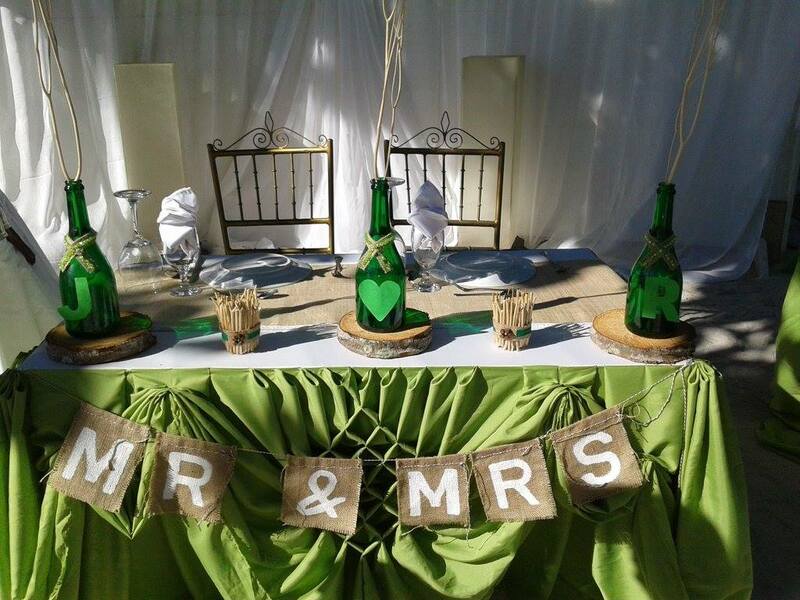 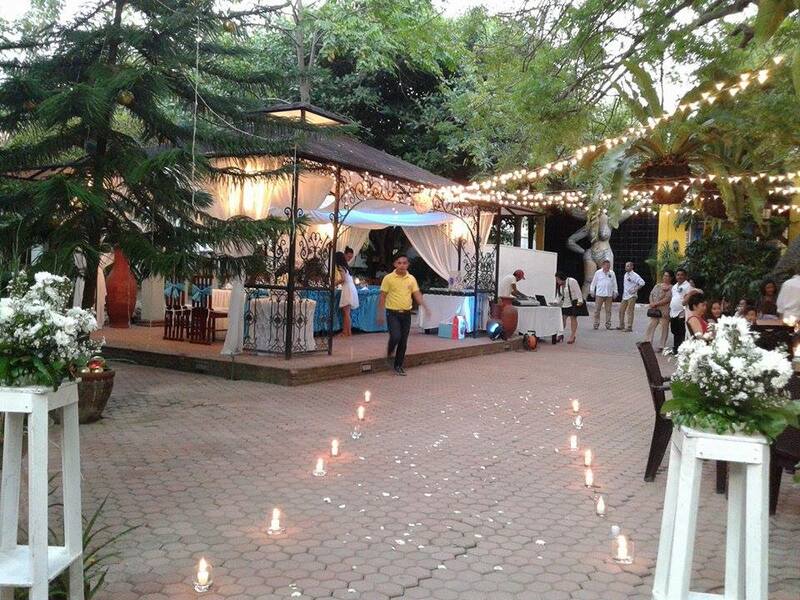 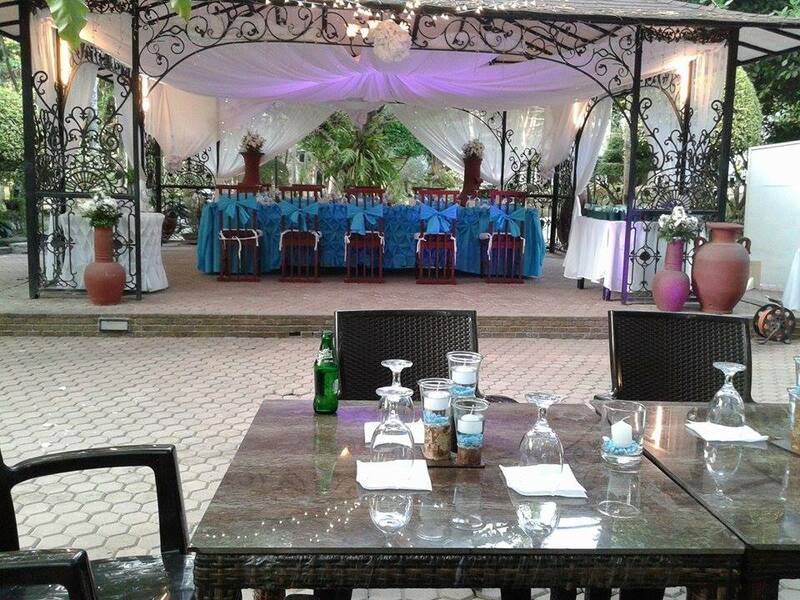 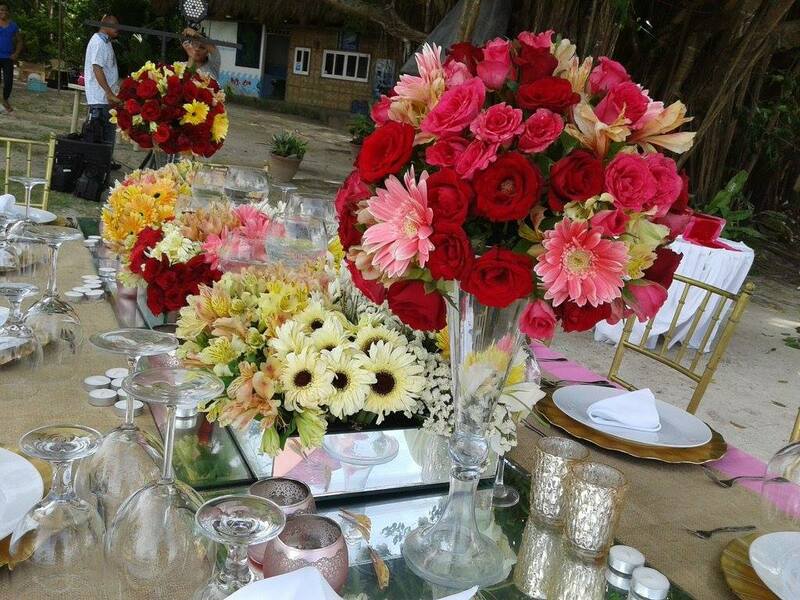 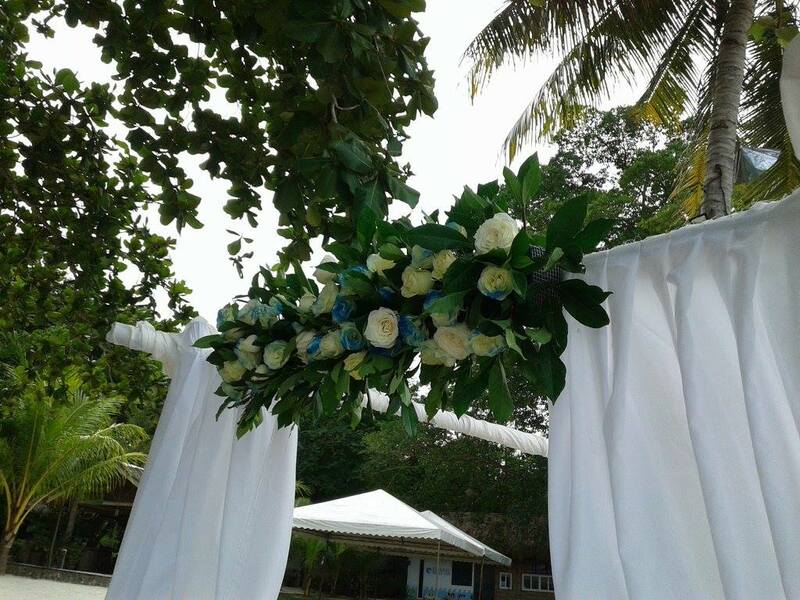 Please visit Alex and Jen's wedding to get an idea how your wedding could be at Precious Garden. 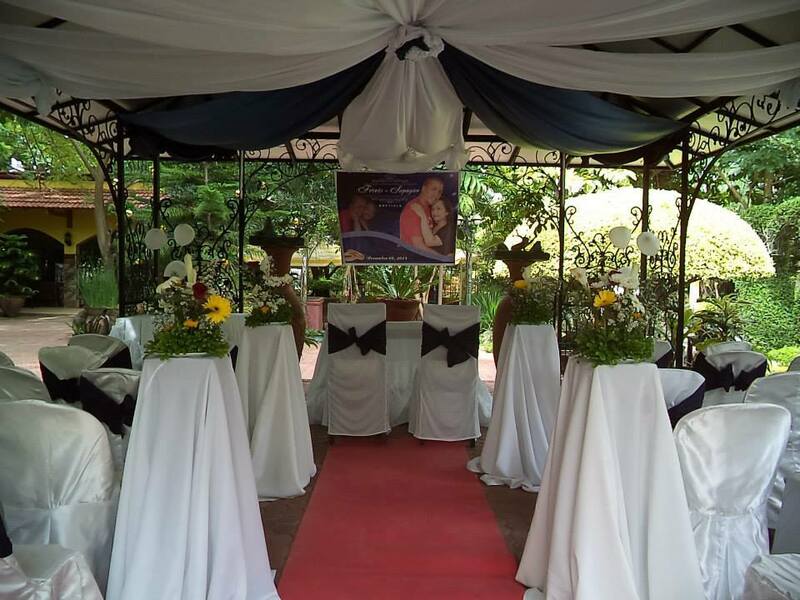 We really enjoyed this special day with Jen and Alex and would be proud to make also your day the most unforgettable day in your life.